The rebrand has been developed in-house and sees the famous Renault diamond redrawn and a new bespoke typeface introduced. Car brand Renault has updated its identity in a bid to make it “bolder, brighter and warmer”. 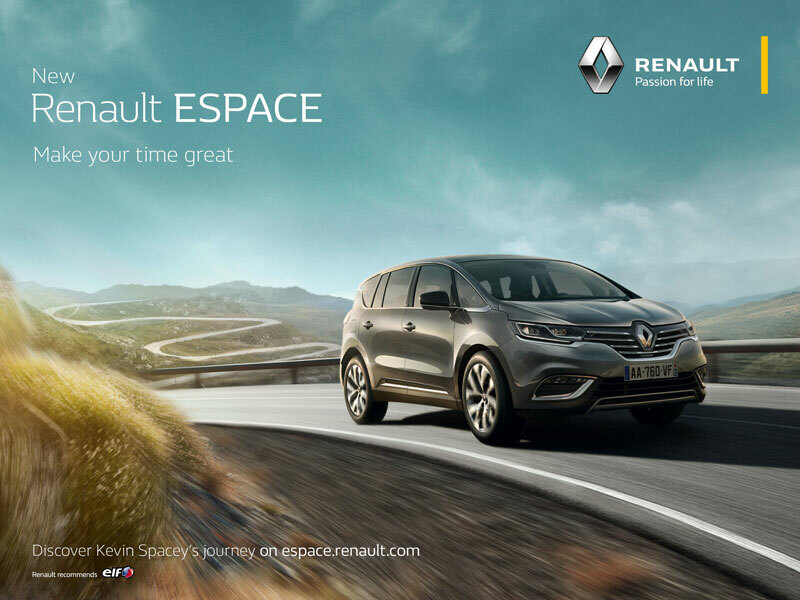 The rebrand has been developed by the brand’s in-house corporate design department and sees the famous Renault diamond redrawn and a new bespoke typeface introduced. The Renault diamond logo has been in use, in various iterations, since 1925. In 1972 the diamond was redrawn by Victor Vasarely, who introduced a version which used angular lines to create a 3D effect. This is the first update to the Renault brand since 2007, when the identity was redesigned by French consultancy Saguez & Partners. Renault says the rebrand sees the diamond redrawn to become “bolder” and “freed from the confinement of its surrounding outline”. 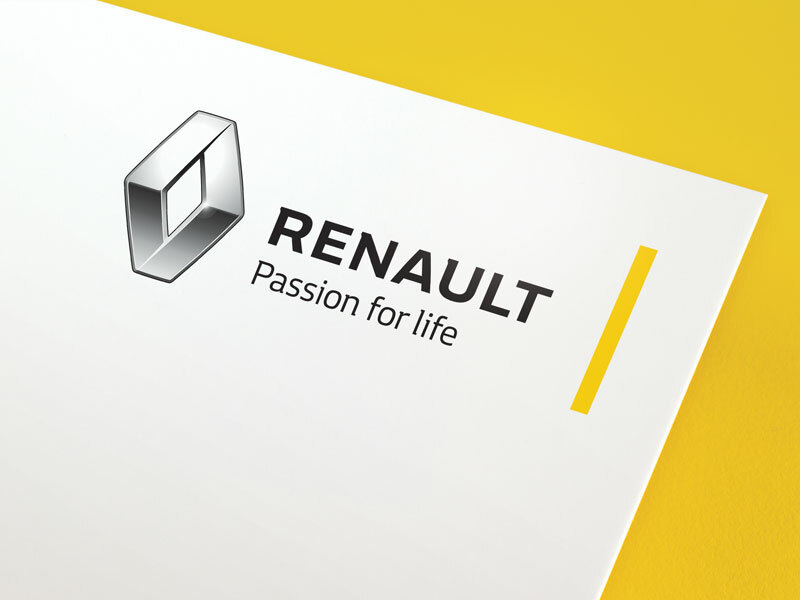 A specially developed new typeface has been introduced, while the Renault yellow colour has been made “brighter and warmer” and runs as a strip alongside the logo. Renault Group brand director Guillaume Boisseau says: “The diamond logo has been reworked – it’s bigger and gives a better impression of quality. We’ve freed it from the yellow box, which lends greater impact. 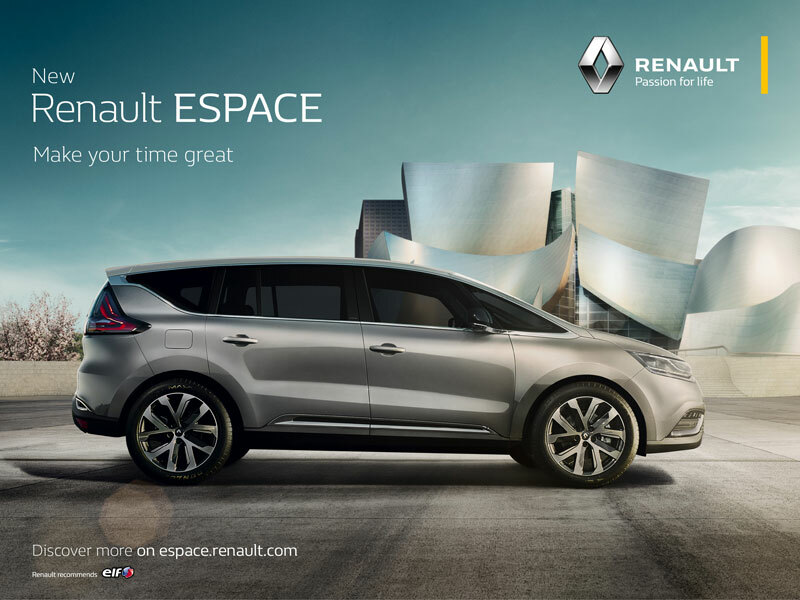 A new strapline has also been brought in – Renault, Passion for Life. Boisseau says this was selected from a shortlist of possibilities and was also developed in-house. He says: “We do call in brand management firms on this kind of question, but the most valuable source is the input we invite from Renault Group employees. The new identity is rolling out from this month, starting with digital media and advertising. Doesn’t look very ‘passionate’, so boring. Seems like a corporate backward step, so in 1972 they got a revolutionary artist to design their logo, and now in 2015 they did it themselves, and they wonder why no one wants to buy their boring cars!. “Passion for life.” GROAAANNN. Another cliché, uninspiring and empty ‘blah’ strapline. But that aside, the yellow stripe could be pulled in a bit tighter, it looks off balance to me. Altogether, very disappointing from Renault.